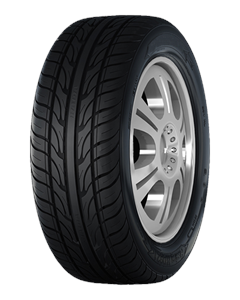 •Optimum water dispersion and steering on both sides and minimum rolling resistance with the four long tread grooves fuzzy pattern. •Maximum grip and road adhesion with the pattern block and rib pattern on shoulders. •Strong rim-protecting ring to avoid impact for safe driving at high speed.